Make a purrrfect playtime for your feline with the fuschia Wooly Wonkz™ Monsters Cat Toy named Betsy! 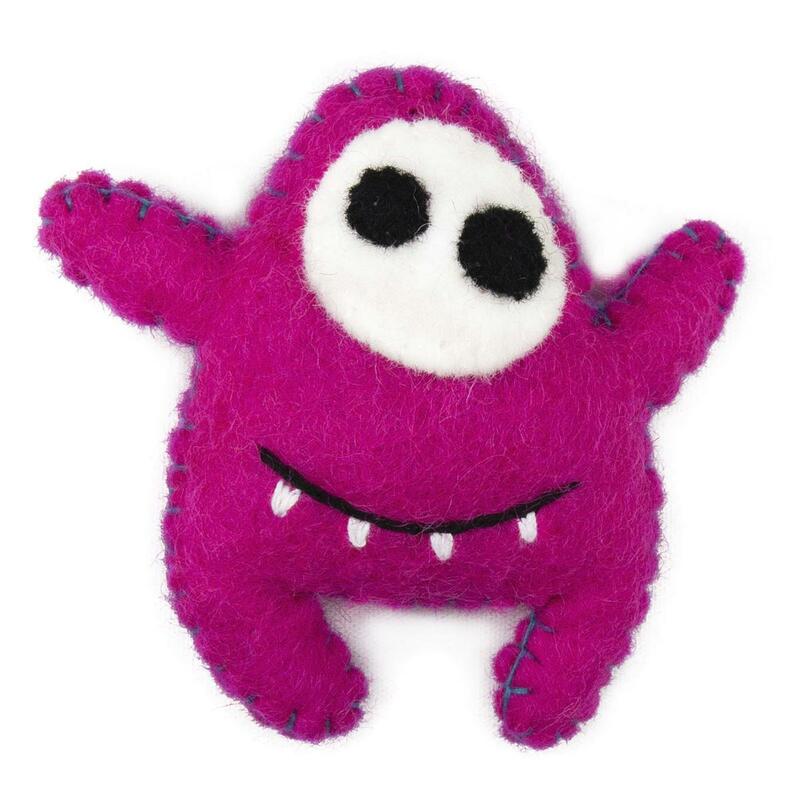 The Wooly Wonkz Monsters Cat Toy "Betsy" is great for your pouncing cat or small dog. This cute little monster is sure to be your cat's new best playmate with a soft and clawable texture that cats crave. Its lovingly handmade wool makes colors and sizes vary slightly, making each toy uniquely special. Made of 100% New Zealand wool. An embedded bell will keep the play going. Check out other colored creatures in the Wooly Wonkz cat toy collection. Machine wash cold, delicate cycle. Air dry, do not iron, bleach, or dry clean. Posted On 10/25/18 by Squeak from Emporia, KS Yes, Squeak recommends this product! I’m so happy to get this as part of my Halloween presents. He’s perfect and pink! My favorite color! Luv my new monster! I Love this site! I have recommended Baxter Boo to several of my friends! All animal lovers....they are the BEST!